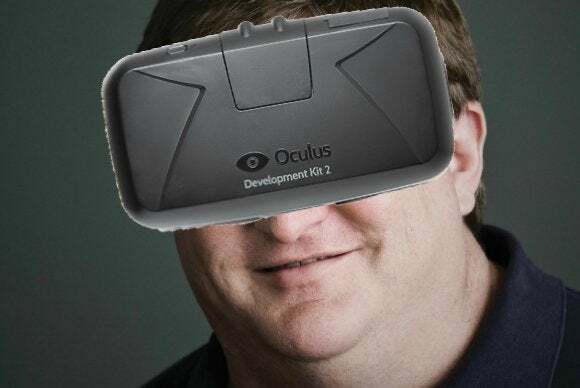 Remember the good ol' days when Valve and Oculus were buddy-buddy and sharing all sorts of virtual reality R&D back and forth? 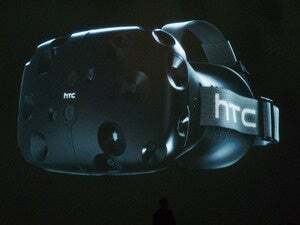 It seems like those days might be over, if a recent Valve post is anything to go by—the company revealed it's bringing "SteamVR" with it to GDC next week, along with an updated version of the Steam Controller and "new living room devices" a.k.a. I guess whatever Steam Machines are called nowadays. Last time I spoke to Oculus they said (paraphrasing) that there wasn't a ton of collaboration going on with Valve at the time because most of Valve's VR experts had left to join Oculus. It seems Valve wasn't resting on its laurels though, with a "previously-unannounced SteamVR hardware system" set to debut at the show. What if Valve's logo was actually foreshadowing the shape of SteamVR this whole time? 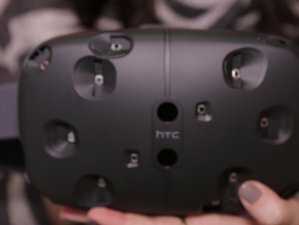 What if SteamVR just screws into your eye socket? That's all we know at the moment. 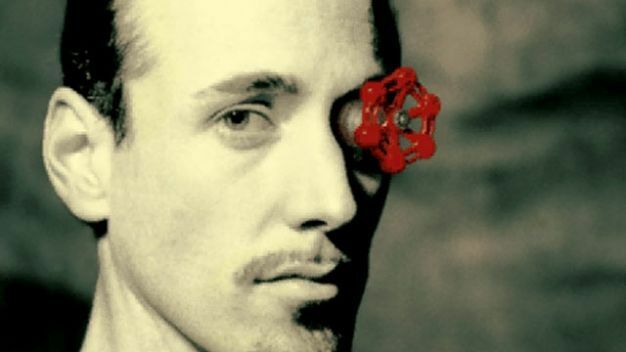 Valve will be demoing its dev kit during GDC and developers can sign up here. 1) SteamVR is a continuation of the outward-facing hardware used in Valve's super-secret-but-not-really VR room up in Washington. Likelihood: Not very. 2) SteamVR looks a lot like the Oculus Rift. Likelihood: Pretty good. 3) SteamVR is actually (like Samsung's GearVR) a surprise partnership with Oculus that nobody sees coming. Likelihood: Hot damn, did you get Vince Russo to write that swerve? Hopefully we'll also be getting our hands on SteamVR next week during GDC and will be back with a hands-on as soon as we're able—plus news on whatever Steam Machines have turned into, and the updated Steam Controller. Phew! It's going to be one busy week.